My university is sending me to Leipzig and Leiden for the next week. I leave this evening and won’t be back until the 16th. 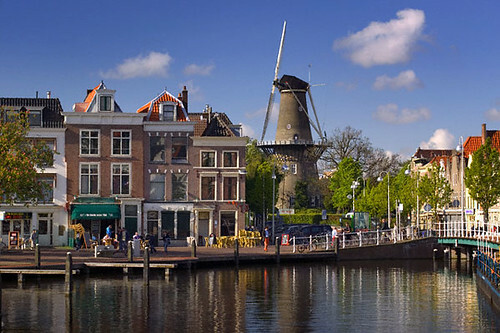 I’ll be in Germany for two days of meetings and then travel to the Netherlands for a day-and-a-half in Leiden before meeting up with PJ in Amsterdam for a long weekend. The main goal of the trip is to visit some study abroad programs to learn more about them. I might be able to help get more of our students interested in these programs in the coming years. One is a new program for us, so I’m also supposed to check it out and see what it’s all about. I should learn a lot during the trip. I’m always a nervous traveler, and I’ve been getting more and more anxious about the trip as it’s approached. It doesn’t help that I’ll be going on my own; this is the first international trip I’ve made alone since my first trip to England in the summer of 2000. Work has been busy, so the stress and the nerves have worked together to exhaust me. I’m looking forward to a few days in Amsterdam to relax and have a little fun with PJ. Throughout the trip, I’ll get to visit some museums. I’m also scheduled to attend a concert in Leipzig. So, I’ll have lots to write about when I get back. Until then, cheers!